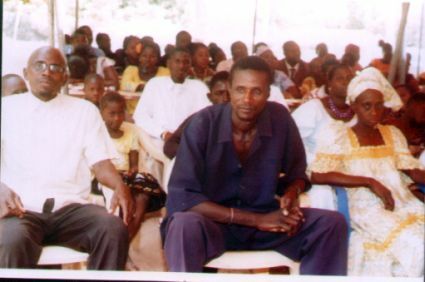 On April 10, 2011, 40 formerly Mulsim Bible students were baptized and confirmed in a worship service in the Wolof language (see images below). 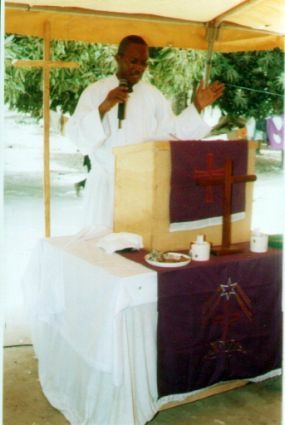 The service was led by Mr Samuel Thomas and the baptisms and confirmations performed by Rev Sengo and Rev Moussa Marone. translated from English so that all could understand. A group of baptismal and confirmation candidates awaiting to be baptized and confirmed into the church by visiting pastors from the Lutheran church of Senegal. 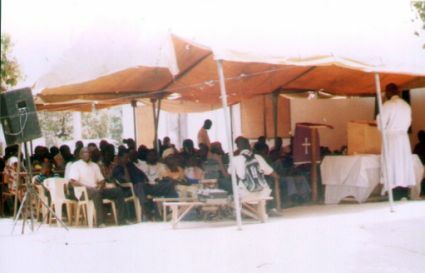 A great harvest time for Christ through evangelism in The Gambia.